Hi guys! My holidays officially started, say goodbye to all my books for 4 months because school only starts only April next year. Now I should be worrying about my results that will be released on 20 December! Hopefully all the effort I put into studying will not be wasted! I hope you guys still reads my dead blog because I haven't been really active the past few months. Now exams are over, I feel like something has been taken away from me and I feel weird not studying anymore! Hahaha, for the month of December I'm going to try to clear all my pending blogposts that I dragged for more than 3 months. Anyway recently I was invited down by 7-Eleven to attend the Blogging Award Presentation. Remember the blogpost I did for 7-Eleven? I eventually made it into the Top 12 entries over 70 over entries. I was shocked becuase I thought I had no chances lor. Hahaha! Met up with Kiyomi and Jessica to go together! All done before heading out to meet Kiyomi and Jessica at town! 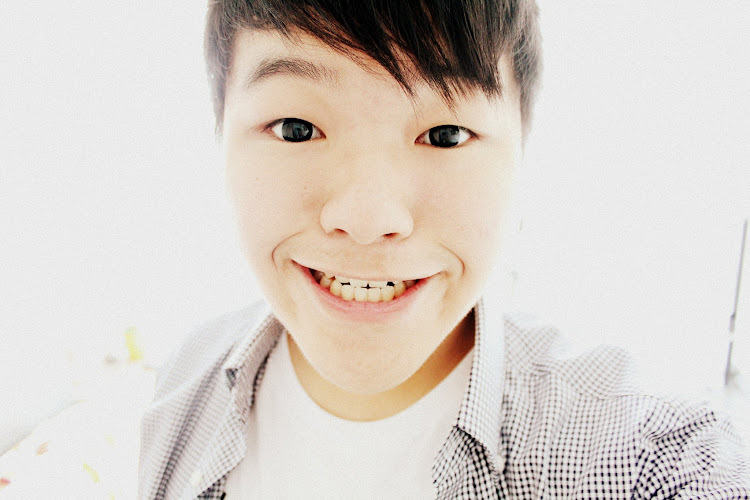 Don't know when was the last time I camwhored! 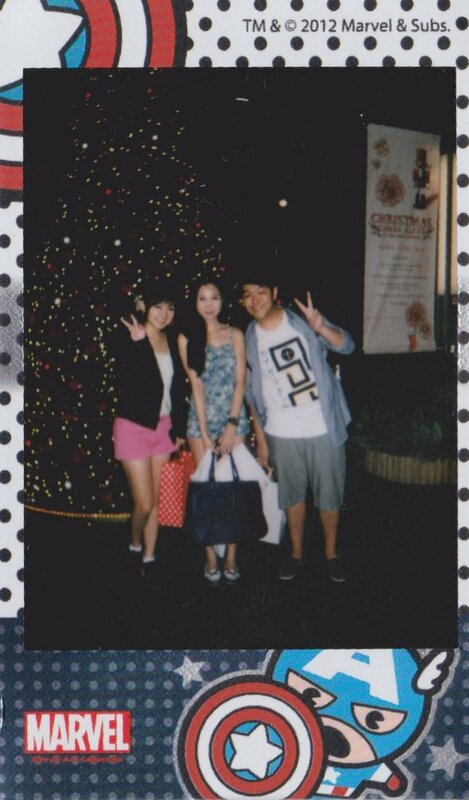 With Jessica and Kiyomi, I haven't seen them for months because everyone is so busy with school and work! We were offered 7-Eleven's new slurpee drink! It was white chocolate slurpee. Didn't really like the flavour because it was like chocolate + coke... tasted a bit weird but it still depends on individual likings! You got to love the waffles! Mmhmmm! This was the lady that organized the whole competition. 7-Eleven was very genenrous and offered us so much food! Introducing 7-Eleven's newest item, ODEN! It's very popoular in other countries such as Japan, Taiwan and China in convenience stores. I'm so happy because I saw cheese tofu. Consist of cheese tofu, cheese meatball, fishball with meat inside, sausage. This meatball with cheese fillings inside was surprisingly good! Congratulations to Tricia, she walked home with the $1000 cash! She came in first for the blogging competition! A group photo with the winner!! A mega thanks for 7-Eleven for inviting us down for this event! After the event, Jessica and Kiyomi and I went to town to hang out for awhile! 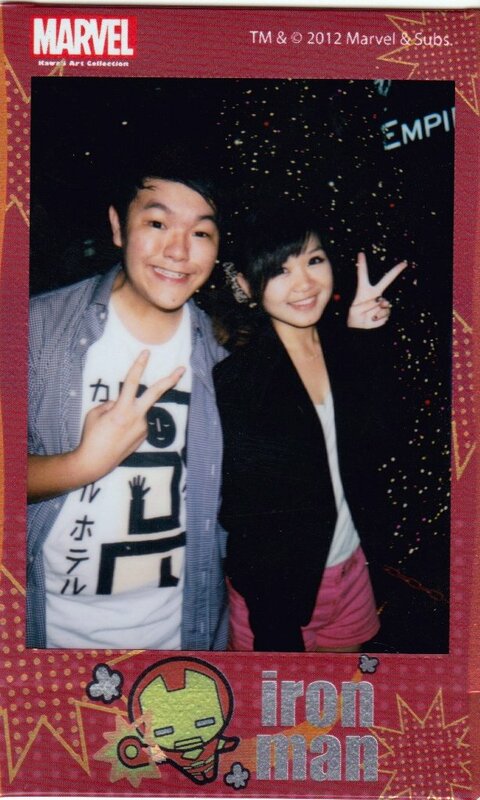 It was a great time to catch up because we had so much to talked about! 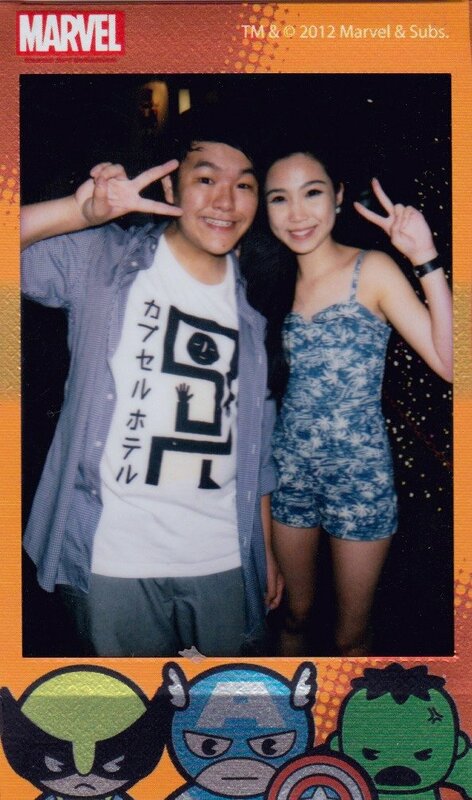 Hahaha it's been months since we saw each other!! 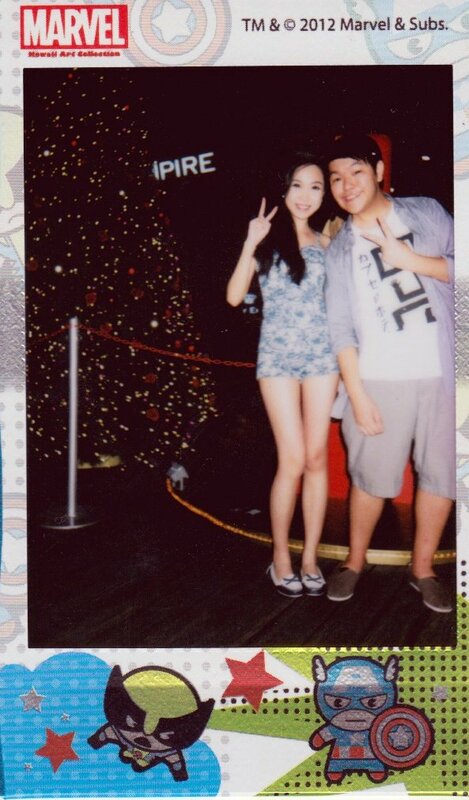 Took some polaroid infront of the Xmas tree because I bought a new packet of Marvels film and was dying to use it! It was so adorable! This first one came out was captain America but my polaroid decided to go unfocus. Take 2, this time Thor came out! Soooo adorable man! Take 3, X-men and Captain America! 5th shot, is Hulk, X-Men and Captain America!